Words by Sean Holmes. 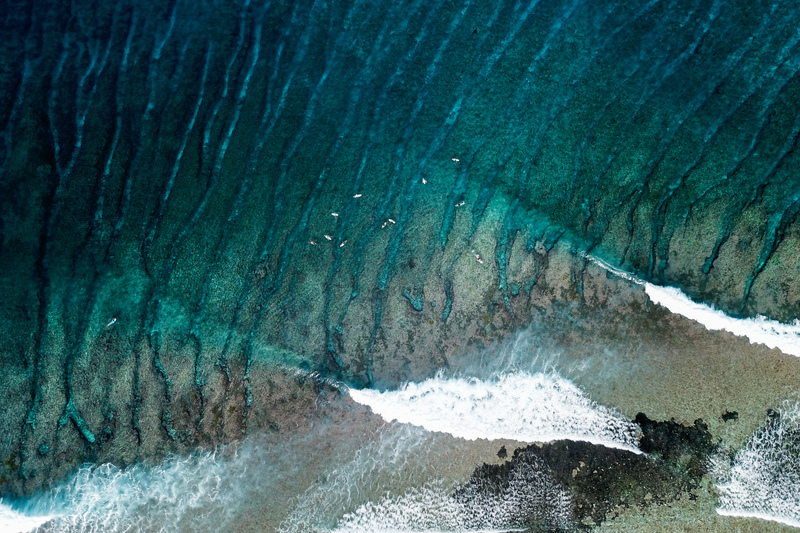 Photos and clip by Andy Potts C/O The Perfect Wave. Having now travelled to the Maldives North, Central and Southern Atolls multiple times I’m yet to be disappointed. In my view the Maldives is a “bucket list” destination in terms of the overall experience. The quality and variety of waves, pristine diving, excellent fishing, kiting, SUP’ing, foiling and postcard scenery, it has it all. For travelling Europeans and South Africans, the close proximity adds to the convenience of the journey. For my Aussie friends it is easier than hitting the Ments. The content you are looking at in this feature was shot down in the southern atolls early in March 2018. 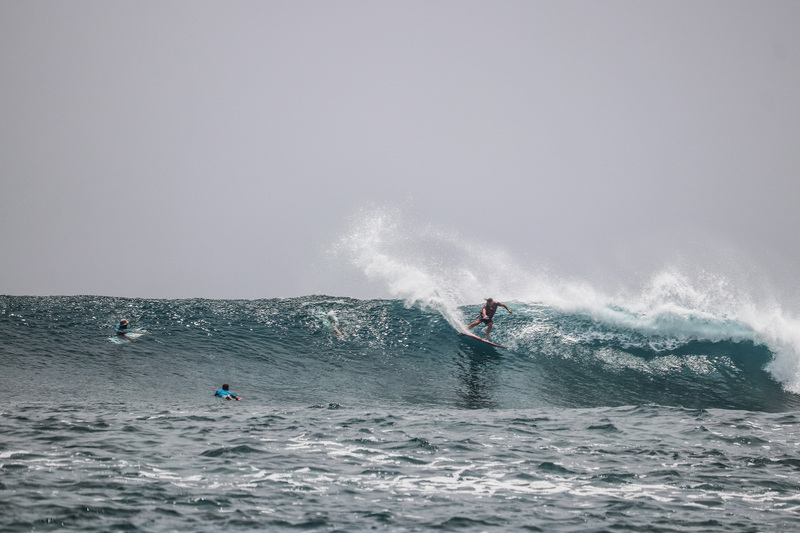 We scored a bunch of quality reef set ups uncrowded and took turns getting slotted. 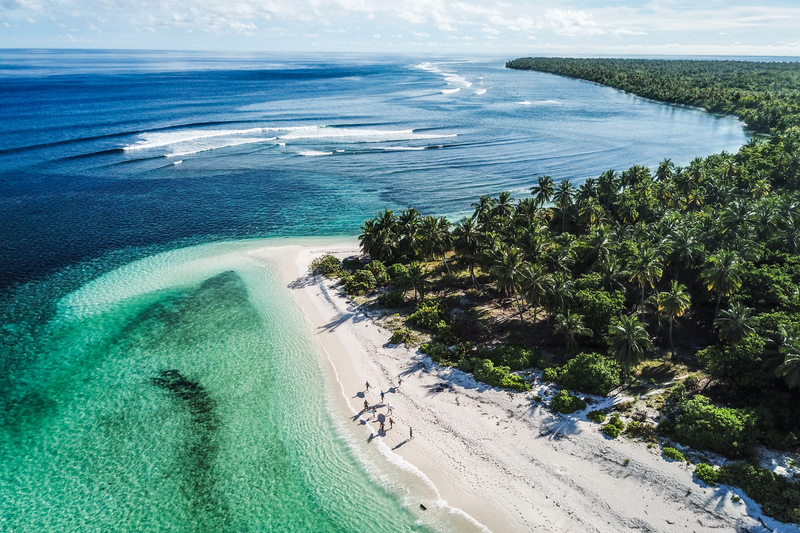 If you’re looking at the Maldives for your next surf adventure then I can highly recommend making contact with the team at The Perfect Wave Travel. They’re a fantastic team with a good selection of charter boats to cater for all budgets. 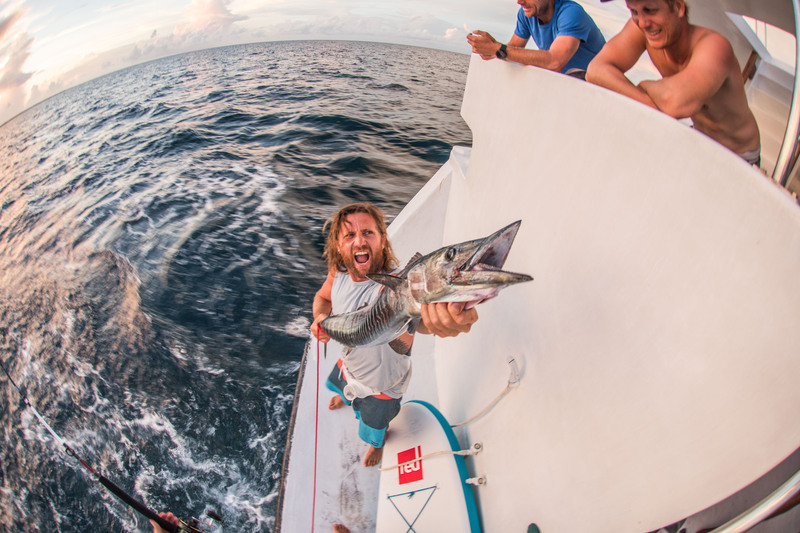 The team is knowledgeable, the boat crews are always a pleasure to travel with, beers cold and onboard food has been nothing short of delicious. I’m ready to go back!